Recently the Spanish Fort High School Future Business Leaders of America (FBLA) competed at the Alabama FBLA State Competition. There were 2,300 attendees at the competition and the competition was very tough. 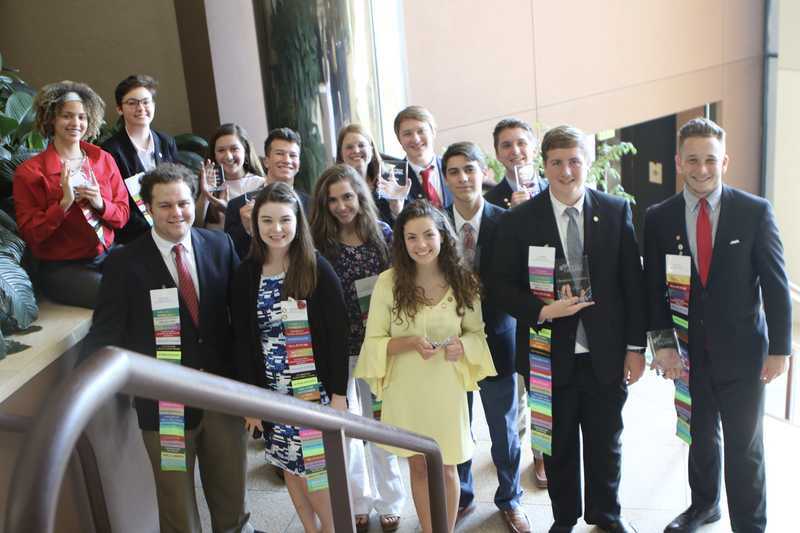 Spanish Fort High School had winners of multiple events who now are qualified to compete at the National FBLA Competition in Baltimore, MD from June 27 – July 1. Our winners from the State Competition were: 1st Place in Broadcast Journalism – Avery Wilhite 1st Place in Graphic Design – Cole Davis, Ethan Hickey, and Connor Hare 2nd Place in Publication Design – Miles Neto 3rd Place in Mobile Application Development – Logan Parsons Additionally, Miles Neto and Logan Parsons have achieved the highest rank possible in the Business Achievement Award, an award that honors students who complete a series of increasingly difficult tasks related to real-world simulated business and community service projects. Both of these young men were among only 22 in Alabama to complete the third level prior to completing the fourth and final level. As a chapter, we were named both a state and national “Outstanding Chapter” and have received numerous awards for our efforts in community service and education. Among those awards were the receipt of the “Outstand Achievement” award from the Alabama FBLA for our completion of the “Blueprint for Success” and a “Service Award” from the March of Dimes for our large donation and continued support. FBLA is seeking support from our community to enable our students to take this life-changing trip where they will not only compete for scholarships and awards but also network with business leaders and attend four days of intense business and computing training. Including only the expenses for our flight, ground transportation to the hotel, hotel stay for five nights at the mandated hotel per the Alabama State Department FBLA Chairwoman, and registration, the cost of this trip is in excess of $9,000.00. Any amount you can contribute is appreciated.